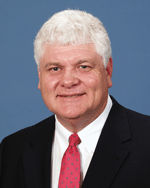 The Nationwide Insurance: Jerry K Hatcher in Kenansville, NC provides the following products. To learn more about each insurance product, click on the links below. Jerry K Hatcher is committed to finding Kenansville drivers affordable coverage and available policy discounts, while also delivering superior customer service. That's why we've chosen to partner with Nationwide. The advantages begin with great coverage at a great price, but many Kenansville drivers find ways to improve their policy year after year. From the Vanishing Deductible® program to free policy evaluations, get a better auto insurance experience with Jerry K Hatcher. Jerry K Hatcher will help identify and eliminate any gaps in your coverage. Our agents also work hard to eliminate any gaps in customer service. See the local Kenansville network of qualified car repair shops. Learn about the extra peace of mind that comes with being able to securely monitor car repairs through Nationwide's AutoWatch® program. Jerry K Hatcher can answer any questions Kenansville drivers have about claim limits, policy options, or specific types of vehicles and household drivers. Don't get overwhelmed by the complexities of auto insurance. Call us at (910) 296-2040, and make your choices quickly and confidently with one of our knowledgeable agents. You can also set up a time to talk in our office. You'll find Jerry K Hatcher at 628 S. Main St.. Owning a home can be exciting, but it also comes with additional responsibility. Making sure you are adequately protected against unplanned loss such as theft or natural disasters is an important part of being a home owner. Jerry K Hatcher in Kenansville has a variety of options to help protect your home and personal belongings in the aftermath of an unexpected incident. Some of the coverage types that we offer include replacement cost plus, sewer backup, Brand New Belongings®, Valuables Plus®, and personal liability. We understand that insurance needs vary from one person to another, so we will help you customize a plan to meet your specific situation. Understanding your policy is also important so that you know exactly what is covered. Along with figuring out the best protection for you, Kim Hatcher will also go over your covered losses, deductible, coverage limits, and any other pertinent information. Our personal touch also continues once you are a member. We will walk you through the claims process if you ever need it and do what we can to help get your life back to normal as quickly as possible. Contact Jerry K Hatcher to discuss your home insurance solutions as well as any money saving discounts that you may be qualified for. You can schedule an appointment for a complimentary consultation at our office, conveniently located at 628 S. Main St.. You can also give us a call at (910) 296-2040 to speak with a qualified agent and either sign up for a policy over the phone or ask any questions you may have. Jerry K Hatcher and Kim Hatcher can help you find the right policy to protect your legacy and provide financial security for your loved ones when you are no longer living. Insurance is a smart investment. Getting the right policy is easier than you think. Call (910) 296-2040 for an appointment with an agent. Feel free to stop by 628 S. Main St.,Kenansville,NC,28349 to discuss Nationwide coverage options in person. As a business owner, you make scores of decisions every day. Some of those have to do with the insurance you carry. Do you have enough? Have you added more employees or purchased new equipment? Are you covered for computer attacks? In other words, have there been changes that indicate a review is in order? At Jerry K Hatcher, we have answers for those questions and many more. Because we work with Nationwide, we can provide you with a wealth of insurance solutions customized specifically to the type of company you own. At Jerry K Hatcher, we know that most of your waking hours are consumed by your business: how to run it, how to build it, and how to protect it. When it comes to concerns about insurance coverage, we can help make sense of a subject that sometimes seems overly complex. All you have to do is call Kim Hatcher at (910) 296-2040, or stop by our Kenansville office on 628 S. Main St.. You'll get prompt answers to the questions you have about protecting your business and, better yet, solutions to put your mind at ease.